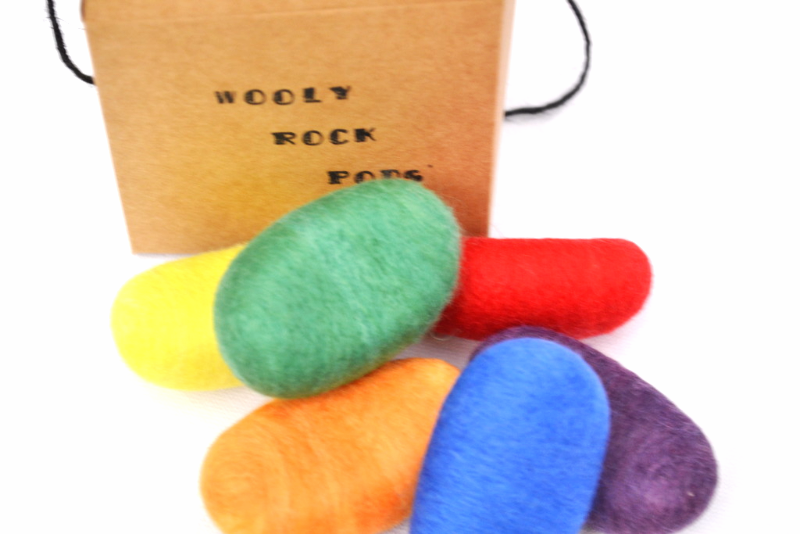 Recently, I added a new listing to my Etsy Shop, the set is called Wool Rock Pods. This is a design I came up with in 2013, when experimenting with Waldorf and Montessori toy making concepts. I finally brought them back to my shop! Think…large jelly beans. Each Rock Pod has been shaped to resemble a smooth ‘rock’ or ‘jelly bean’. 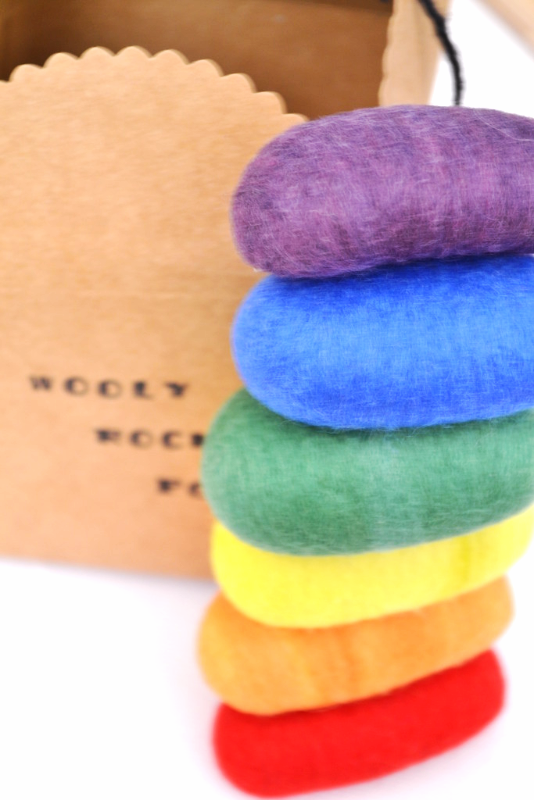 I’ve done each colour of the rainbow. I think they are so visually appealing and stimulating! Let’s imagine what they can be used for! Pretend play: playfood, treasures to find in a hunt, building a tower, magic rocks, Easter eggs, throw them at a target. Can you think of any more? Learning: colours, rainbow order, counting. Sensory: the texture of these is my very fave! Hold them during meditation to help you focus. Squeeze them to release stress. Teething toys for infants. Store them in the freezer so they are even more soothing for hurting mouths! 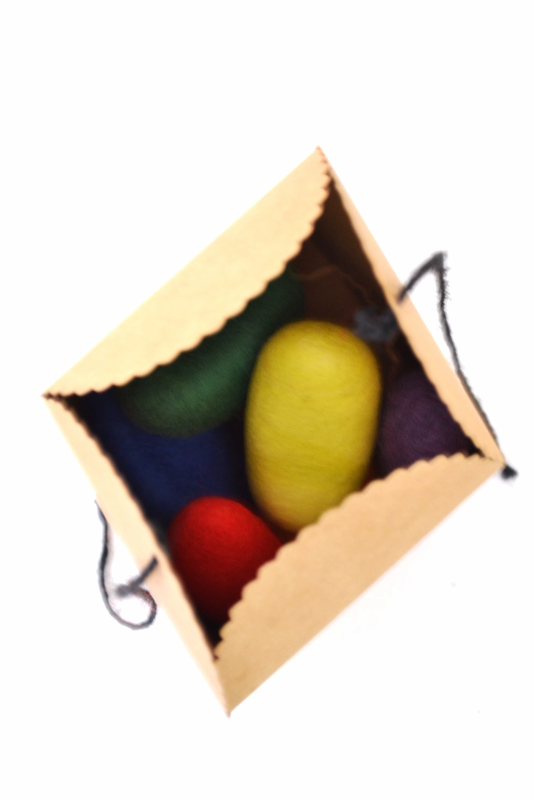 These are created with extra care, very firmly and solidly needle felted, and then they are put through a wet felting process. This makes them more durable. Care Instructions: If they get fuzzy, give them a go with a fabric shaver. They can be machine washed and dried, but I suggest placing them inside a pillow case and then into the washing machine on gentle, dry on gentle too. Next > At It Again – Anatomy Whale!